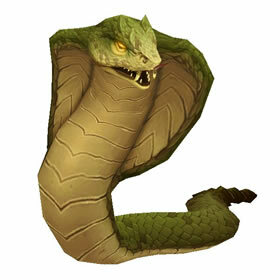 Players have a chance to loot a Viable Cobra Egg from Merektha in the Mythic version of Temple of Sethraliss (5-man dungeon). After 3 days the egg will become lootable and has a chance to drop the pet. Not much is known about the great snake Merektha and the many eggs in the Temple of Sethraliss, but the residents of Zandalar all seem to have a distinct amount of both respect and fear for these serpents.